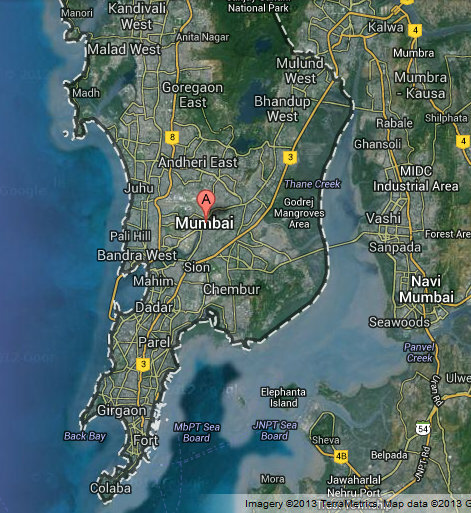 Bombay was originally a cluster of islands. The seven major ones are shown on the first map below, and consisted of Mahim, Worli, Parel, Bombay, Colaba and Little Colaba. Additional islands of Mumbai included Elephanta (Gharapuri) Island, and the Middle Ground Coastal Battery, which now belongs to the Indian Navy, and is a fortified defensive island within the harbour. In 1661 the Portuguese ceded the seven islands of Bombay to the British. The islands of Bombay lay south of Bandra (beginning with Mahim and Worli), while the Portuguese retained Bandra and the north of the modern city. The modern city is far larger, and much land has been reclaimed from the sea, to expand the original islands into the mass of today’s South Bombay. The original islands still exist in the modern city precincts of Mahim, Worli, Lower Parel and Colaba – with the large initial island of ‘Bombay’ becoming parts of contemporary Fort, Churchgate and Marine Drive.